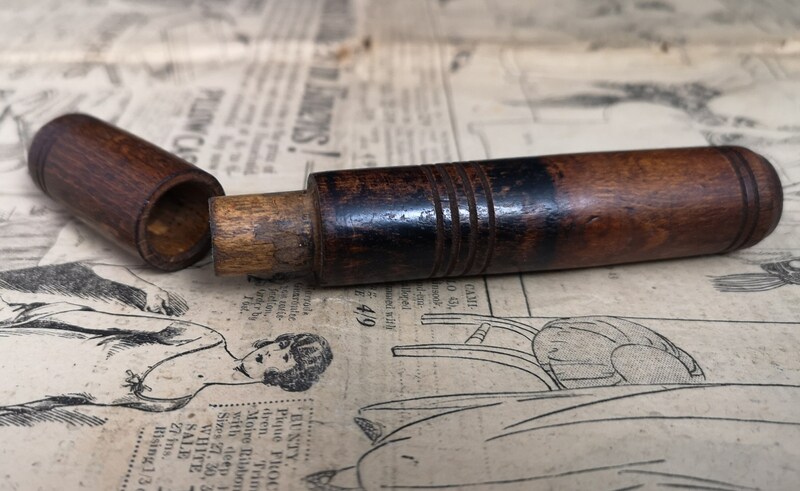 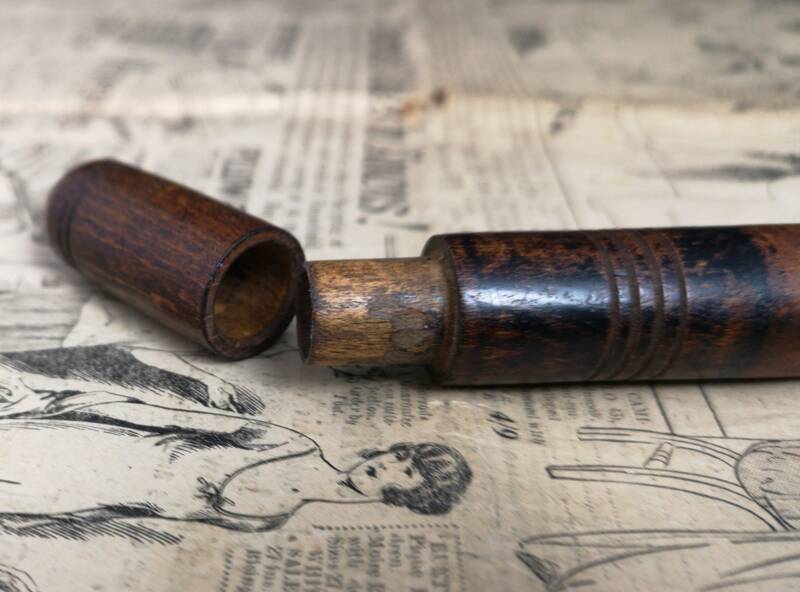 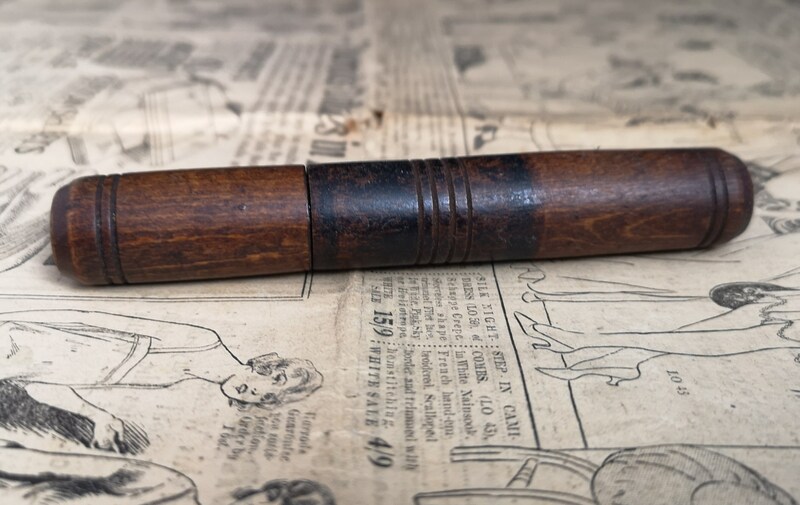 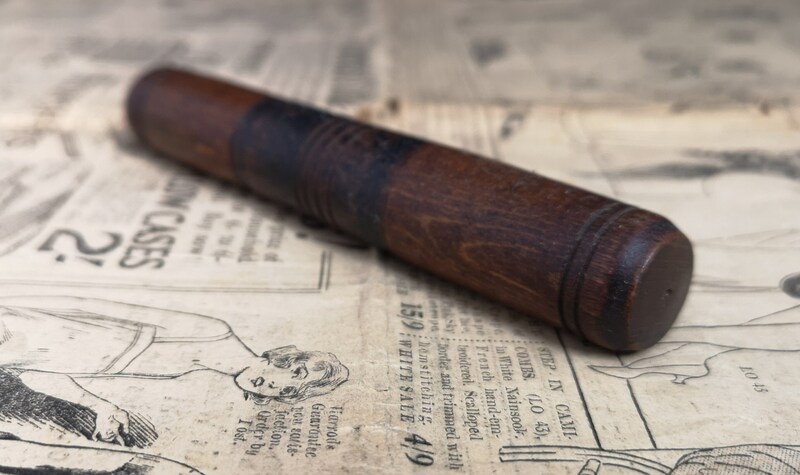 A very rustic old needle case. 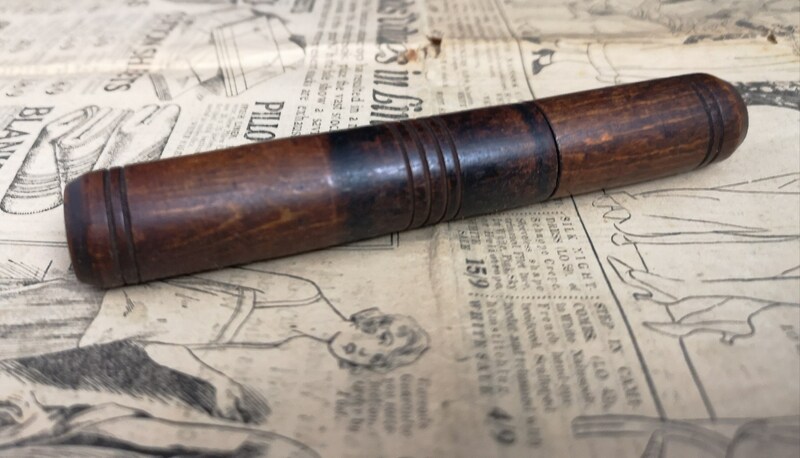 Early Victorian made from stained and turned wood. 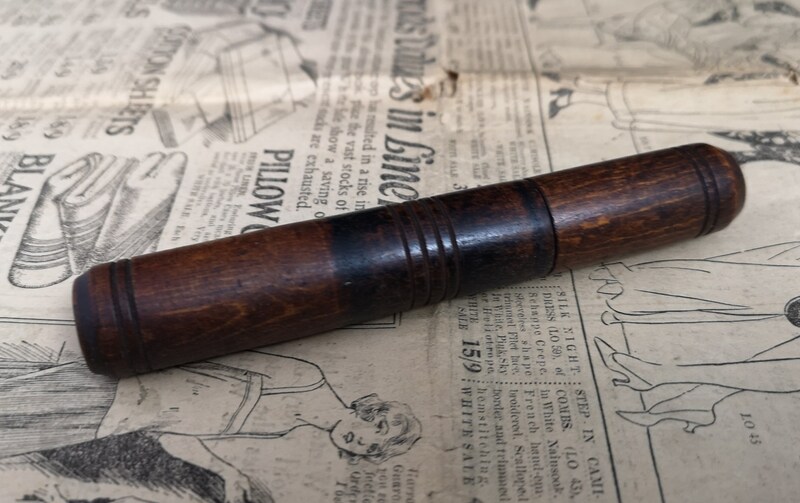 It has a lot of wear and ageing, plenty of patina and it's had a lot of use.